Summit Real Estate Management, better known as "Summit", is experienced in the management of nearly all types of property investments, and has extensive experience in medium and larger multifamily properties. 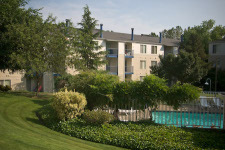 Summit has established its solid management reputation by aggressively leading the market in rent levels, expense control, and capital improvements, all of which have lead to high investment returns. Along with budgeting and an excellent control process, Summit seeks to find ways to improve revenue by creatively marketing, as well as using well trained management and leasing personnel in order to meet the needs of our Residents. Summit excels by providing realistic budgets and good expense controls, coupled with capital infusions for improvements, and the use of proven systems that bring added revenue. The net income and steady growth of Summit reflects these efforts. The effects have been powerful resulting in improved initial lease-up situations, better Resident retention, higher occupancy and higher scheduled rents. Summit has a cadre of personable, experienced, and hard working people who comprise the Summit "Team". We are careful with the selection process and then bring the employees into a training program with experienced mentors to guide the growth of its newest Team Members. Our Community Managers have a great deal of experience in the management of multi-family communities and together with their Leasing Agents and Maintenance Technicians, they make the Community a great place for our Residents to live. All employee matters are handled by the Human Resources Department, which maintains the required records and payroll accounting. Summit also sponsors seminars in which experts in leasing, maintenance techniques, and various specific areas such as Fair Housing and the Landlord Tenant rules, come and offer educational lectures to our "Team". The successful management of assets can only happen with qualified personnel operating within an environment which fosters innovation and achievement. Success requires the use of long standing and proven systems as well as the use of good sound controls and an excellent accounting system, all of which Summit proudly utilizes. All of our systems bring order to the day to day management of the communities with as little effort as possible so that managers and employees can spend most of their time serving the needs of the Residents and the Community. The systems track occupancy and revenues, operating costs, labor, and supplies. The systems bring in the needed information for the corporate personnel; including the District Property Managers, who guide each investment. Our accounting system is provided by YARDI, a leading web based software system, which is powerful, yet easy to operate. It provides real time data and a complete monthly financial report which ties to the budget, and an aggregate monthly performance tally for comparison to the budget. Budgets are prepared for the Owner's review and approval. Each month the progress is reviewed with the Owner, this review includes reporting on the financial statements as well as a narrative summary. All staff are employees of Summit, thus relieving the Owner of any Employer liability and the record keeping that employers have. Summit accepts the responsibility for training the employees and supervising their work. Summit is a drug free company and all employees go through a thorough screening for prior experience, credit, and criminal history. Summit maintains a periodic employee review process, and training in each discipline in order to maintain the management of the Communities. The communities are staffed at a level where most of the unit maintenance, preparation, and exterior maintenance can be achieved within reasonable economic standards. The day to day maintenance is handled by the on-site staff who can prepare the vacant apartment homes in the required three-day turnover period. Summit has a preferred vendor list from which it draws to provide specific tasks, such as carpet cleaning, and overload work. Judicious use of outside labor can achieve timely and economic results as well as allowing the on-site staff to function at the most efficient levels. Summit has a group of talented maintenance and construction personnel who generally work on specific renovations or repair tasks, but can also be pulled into action to assist with a property in special need or on larger tasks, especially if bringing in an outside vendor is not economically sound. The cost of this labor is the actual cost of wages and benefits plus modest overhead. Such projects are either pre-approved in the budget or specifically pre-approved by the Owner before the work is done. Summit also employs outside experts and sub contractors in larger or more complicated repairs or renovations. These experts have specific talents, which makes the implementation of the work more efficient. Summit has profound experience within its staff, and with the use of recognized outside sources we are able to assist Owners with nearly all of their real estate investment needs. This is including but not limited to property acquisition, ownership formation, building pro formats for mid and long term planning, financing, value determination for capital projects, and assistance in the listing and sale of the assets. Summit has arranged a master blanket insurance program which Owners may choose to participate in. The coverage is very complete, and the premiums for the expanded coverage are very competitive. An umbrella liability policy accompanies the fire and extended coverage for a modest premium. An Owner may also choose to add additional coverage such as earthquake and special needs endorsements. The program we utilize has been with Farmers Insurance, through their Mid Century Company for a number of years and we find that the coverage and services they offer are top shelf. Fidelity coverage is provided in the package, as is coverage for such things as non-owned autos and employer liability coverage. The premiums are allocated by the insurance carrier and all of the certificates and invoices are prepared by the insurance agent. This program provides great coverage and protection at very reasonable premiums.